How does the Magic Link login work? The magic link "passwordless" sign up and login option sends you a unique link to your email inbox, which you can use to get into your Clipchamp account. Each magic link is unique and can only be used once. 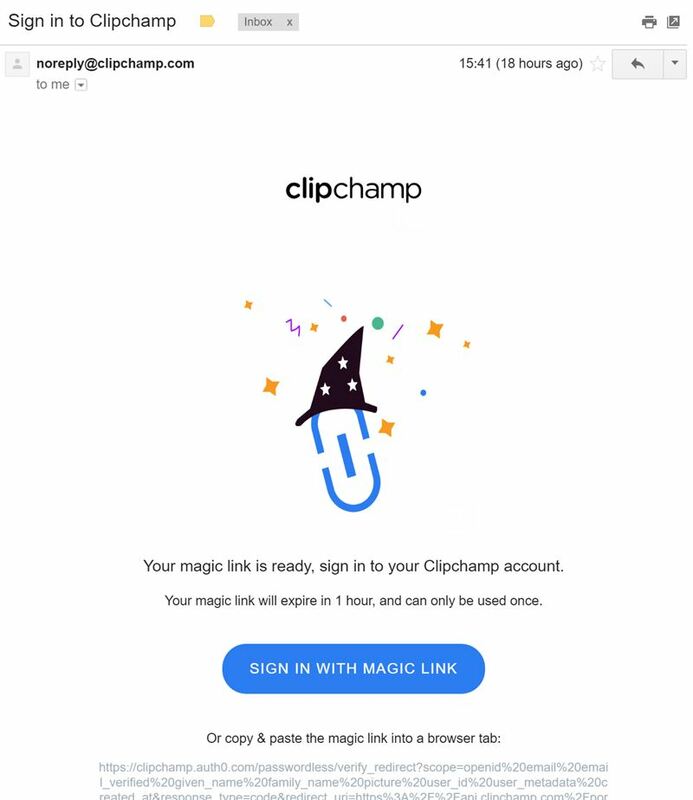 This means that each time you log out of Clipchamp and would like to log back in using a magic link, you only have to enter your email address on the front page of clipchamp.com, click on "Send my magic link" and then click on the link in the email we send you. Please also check your Spam folder in case you can't find the email in your inbox. To use the magic link login option, click on Sign Up/Login on clipchamp.com, then on "With Email". 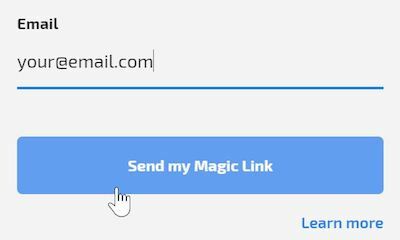 Enter your email address and then click on "Send my magic link"
Please note that magic links also expire after 1 hour. Once the link is expired, you can have a new link sent to you by entering your email address into the Login window again at clipchamp.com. If a link was already used or it expired and you click it then, you will see the following error message on Clipchamp: "Wrong email or verification code (unauthorized)"
If that happens, please go to the front page, click on Sign Up/Login and have Clipchamp send you a fresh magic link to your email inbox. Note that you can also use more than one login method to get into your Clipchamp account. For instance you can use the magic link and Google login options and also create an alternative email + password combination. Make sure that all login methods you set up use the same email address that you used to originally sign up for Clipchamp.